Anthony Martin at Examiner writes about the scapegoating attempt of Republican elites and the mainstream media against Governor Palin that is being exposed by a series of articles at Breitbart.com. 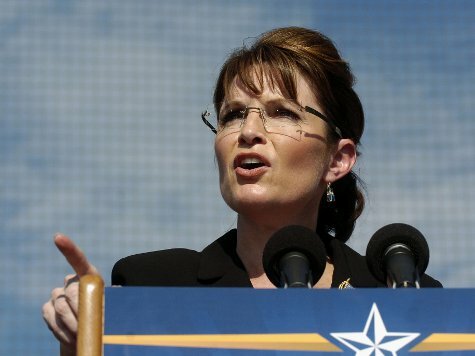 A report published today at Breitbart indicates that Republican elitists of the D.C. establishment are trying to rewrite history in a recent coordinated effort at Sarah Palin bashing, apparently in an attempt to save their own political reputations in the aftermath of a poorly run campaign in 2008. The numerous miscues of John McCain’s handlers still haunt the Republican Party establishment to this very day. During the 2008 presidential campaign the Republican nominee found it nearly impossible to gain any traction in his attempt to catch up to Barack Obama in the polls. McCain ran behind Obama during the entirety of the campaign, except for one brief period that lasted only a few weeks just after he chose former Alaska Governor Sarah Palin as his running mate. Then, McCain’s chances turned dismal again as his poll numbers plummeted and as crowds at his speeches dwindled. Yet the crowds Palin attracted rivaled that of Obama, often approaching or exceeding 60,000, while McCain washaving difficulty filling much smaller venues. Most non biased political observers noted that the only real excitement being generated by the McCain campaign was to be found at Palin rallies. Palin’s speech at the Republican convention that year was the highlight of the entire campaign. Once the voters saw Palin in action during her first very performance on the national stage, the base was energized and hope was rekindled that Obama could be beaten. The speech was one of the best that has ever been delivered at the Republican convention since the days of Ronald Reagan, and many conservatives noted the similarities between the Alaska Governor and the nation’s 40th president. However, when McCain’s professional campaign operatives and handlers moved in on Palin, things began to change. Palin was practically barred from interaction with the media. For weeks she made no radio or television appearances, granted no interviews with either local or national reporters, and was basically kept under wraps. But what the professional handlers failed to grasp is that by keeping Palin hidden they were depriving the McCain campaign of the one factor that gave them any hope whatsoever of winning the White House. The report at Breitbart names the names of the campaign staffers who formed the brain trust of this doomed strategy. According to Breitbart, McCain operatives Steve Schmidt and Nicolle Wallace are the ones most responsible for the mishandling of Palin. In particular the Breitbart article points the finger at Wallace for failing to allow Palin to gain the experience that comes from being interviewed by as many local and regional radio, newspaper, and Internet reporters as possible, a campaign boot camp of sorts that trains a candidate in a very short time to become adept at handling the media. Instead, Wallace kept Palin away from such opportunities, and then in the most baffling blooper of them all, thrust her into an interview with Katie Couric on CBS News, a venue that has a reputation of ambushing conservative candidates on live TV with questions designed to embarrass them. Even veteran politicians often have trouble negotiating such shark infested waters. Palin was clearly not herself in the interview, and Couric, sensing blood in the water, went in for the kill. In no way could this be construed as Palin’s fault. She had not been adequately prepared by supposed professional campaign handlers. She had not been allowed to hone her skills in the smaller media venues in the weeks prior to the Couric interview. The Breitbart article pulls no punches in laying the blame for this unconscionable strategical blunder squarely at the feet of the McCain campaign, particularly Wallace and Schmidt. The two have come under heavy criticism from conservatives before. But instead of admitting their mistakes and learning from them, the McCain campaign operatives have attempted instead to rewrite the history of the 2008 presidential race by issuing talking points to the media on a consistent, regular basis stating that Palin was the reason McCain lost to Obama. Conservatives are not surprised that the mainstream media is swallowing the mantra, hook, line, and sinker. 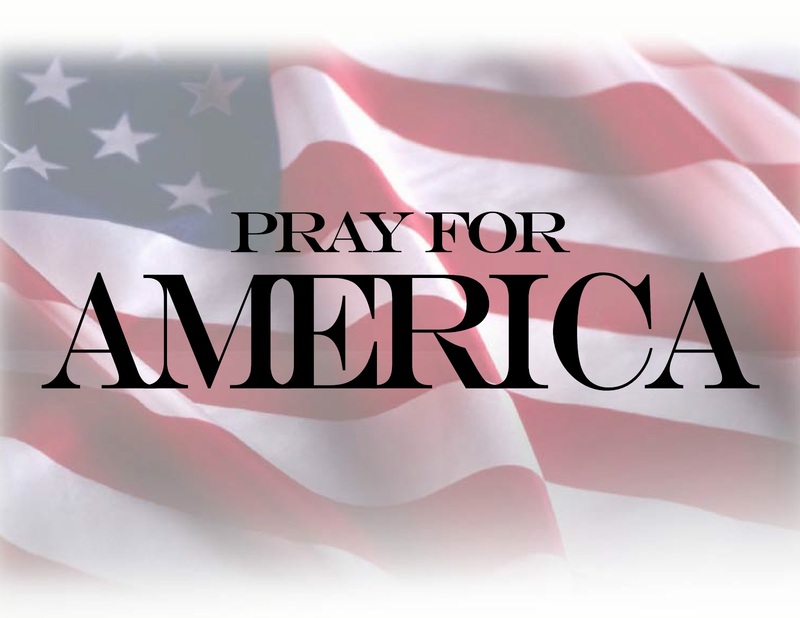 Throughout this year’s vetting process of choosing a potential running mate for the person who will become the Republican nominee for 2012, the various talking points one hears in the media follow the script written by Schmidt and Wallace. A Republican operative told a news show host that Palin’s shadow hangs over the selection process for a running mate for Mitt Romney, according to Breitbart. Yet the facts seem to indicate something entirely different from the meme being promulgated by Schmidt and Wallace and their allies in the mainstream media. She gave a very thoughtful answer to all those questions. People who are more experienced, more savvy–maybe some of them gave less savvy answers…. Further, McCain himself was mishandled by campaign staff. The Arizona Senator is anything but a senile old man, but that is precisely how the media got away with portraying him in various bloopers such as when he suspended his campaign and went to Washington during the economic crisis of 2008. The campaign should have known better than to allow such a thing to happen, which only highlights once again the ineptitude of the McCain team. The staff has been remarkably undisciplined, too eager to point fingers, unable to craft any coherent long-term strategy. The handling of Palin… has been nothing short of political malpractice. Thus, in a town in which careers are made or broken by perceptions and in which one single misstep can doom an operative’s chances of ever working again on a campaign, it is no surprise that the McCain team would attempt in some way to save their reputations. But they are doing so by trying to destroy Sarah Palin, and by extension, destroy all non-establishment conservatives throughout America who share Palin’s values and deplore the politics as usual of the Washington elitists. 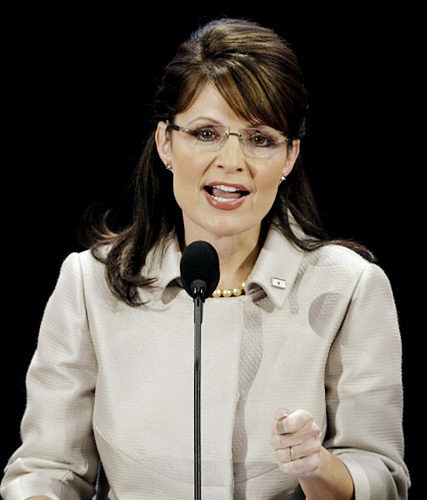 Whitney Pitcher: Who Is the Real Sarah Palin? Is she “unqualified” or “unprepared”? What is her actual record? The media demanded and got unprecedented access to the emails she wrote as governor. No other national or state politician has been more open and transparent. We can know this woman if we just take the time to investigate. I did, and I discovered a record of relentless reform and fiscal leadership that goes beyond “drill, baby, drill” and is more complex than selling an expensive state jet. Today everyone likes to call himself a deficit hawk, but it’s easy to be a budget cutter when you’re broke. Palin was a serious deficit hawk at a time when her state was flush with a massive oil revenue surplus. It takes discipline and strong conservative principles to rein in spending at a time like that. Palin cut spending by nearly 10% during her tenure while reforming government, attracting more energy companies to do business in her state and adding jobs. In the days of credit downgrades in states across the country and for the country as a whole, Alaska has seen its credit upgraded twice since 2006 due to Palin’s reform of the state employee pensions and Alaska’s oil valuation tax. While the nominees for both political parties have implemented health care mandates on some level, Palin proposed repealing bureaucratic mandates for health care facility development and enacted patient-centered, market-driven health care reforms. By any objective standard, this woman was and is more than qualified to be vice president or president. Her record is arguably better than anyone on the national scene today. The facts bear this out. I’ve assembled just a brief and partial glimpse of Palin’s record. Much more could be written. Whole films have been made about it (see Steve Bannon’s “The Undefeated”). I’ve chosen to focus primarily on fiscal and energy issues because that’s what Palin focused on. Why haven’t we heard about all of this before? Why didn’t Steve Schmidt highlight this record during the 2008 campaign? And why is the GOP establishment attacking this woman instead of praising and emulating her leadership? Remember waaaay back in 2008 when there was a presidential campaign in this country and Sarah Palin was nominated as the GOP’s vice presidential candidate? Do you remember the energy that Palin brought to that campaign? The crowds? The quick rise in polling for the McCain/Palin ticket? I do too. Tony Lee has written a very comprehensive piece on the meme that Sarah Palin was not vetted. This is one you don’t want to miss reading. Winston Churchill said “history is written by the victors.” But too often in politics, where professional tacticians want to preserve their permanent paychecks by deflecting their mistakes onto everyone but themselves, losers often desperately attempt to re-write history. And that is exactly what GOP establishment operatives, aided and abetted by members of the mainstream media who want to preserve access to them, are now doing to the history of the 2008 presidential campaign, as they attempt to blame Palin–and, by association, non-establishment grassroots conservatives–for their own professional malpractice during that campaign.